Prior to the Second World War, France and the USSR had Treaties with Czechoslovakia which guaranteed Czech independence. This was behind the threat to war from Nazi Germany. The British Prime Minister had a meeting with German Chancellor Hitler to dissuade him from war. With the French Premier Edouard Daladier, Chamberlain tried to recommend the Czech government to surrender all districts containing more than 50% Germans which were in the borderlands of Czechoslovakia with Germany. This was rejected by Germany and Chamberlain had another meeting with Hitler who then demanded a much larger zone covering the Sudatenland. France and Britain then mobilised and recommended Czechoslovakia did the same. Mussolini, fascist dictator of Italy, proposed another conference at which Mussolini, Hitler, Chamberlain and Daladier agreed Germany should occupy the Sudatenland. 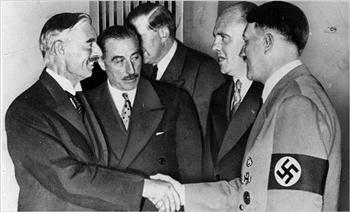 Chamberlain and Hitler also signed a declaration ruling out war between Britain and Germany. 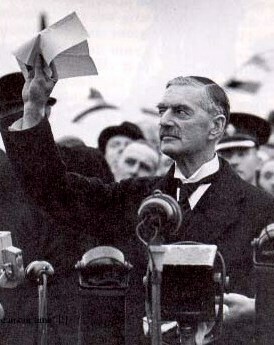 This was the infamous agreement which Chamberlain declared was "peace in our time". Winston Churchill denounced the agreement. The Czech government was not party to the agreement and the Czech Ambassador to Britain, Jan Masaryk, said: "If you have sacrificed my nation to save the peace of the world, I will be the first to applaud you. But if not, gentlemen, God help your souls." The German army marched into Sudatenland on 1 October 1938. The appeasement was short lived as the Munich agreement was torn up when Germany occupied the rest of Czechoslovakia five months later on 1 March 1939. Germany then occupied Poland and Britain declared war on Germany and the second world war was underway. After the war the Potsdam conference of the Allies, the USA, USSR and Britain ordered the resettlement of 11 million Germans from Czechoslovakia, Hungary and Poland. The Czech government in turn agreed 142 Decrees named after President Benes. Not a single one of these 142 Decrees is about the transfer of people. About 10% of the Benes Decrees concerned the confiscation of property belonging to wartime nazi traitors and collaborators accused of treason. Almost every decree explicitly stated that the sanctions did not apply to anti-fascists and some 250,000 German anti-fascists remained Czech citizens after the transfer. A dispute and objections to the transfer and Decrees rumbled on until 1997 when an agreement between Germany and the Czech Republic was meant to have buried the dispute about the Benes Decrees, but it has resurfaced as chauvinist rhetoric has heated up in Austria, Germany and Hungary. EU Commissioner for Enlargement, Gunter Verheugen, on a visit to Prague, together with the Czech Prime Minister, Milos Zeman, formally announced on 11 April this year that the disputed Benes Decrees of 1945 were no longer legally valid. In a joint declaration they asserted that, "Recently there has been much public discussion on some of the Czechoslovak Presidential Decrees of 1945, and on some of the ensuing Czechoslovak legislation of the immediate post-war period ... but they belong to history ... (they) no longer produce legal effects ... We are aware that within the scope of the application" to join the EU, "... discrimination on grounds of nationality is prohibited ... The Czech authorities are conducting a review of their legislation ... to put it in line with the EU acquis, if necessary, by the time of the Czech Republic's accession to the EU." The declaration was denounced by Austrian MEP, Daniela Rashchhofer who said it was untrue to say the Decrees were no longer valid as they are still present in Czech laws. She accused Commissioner Verheugen and Premier Zeman of "arrogance" and the Commission of "political opportunism". 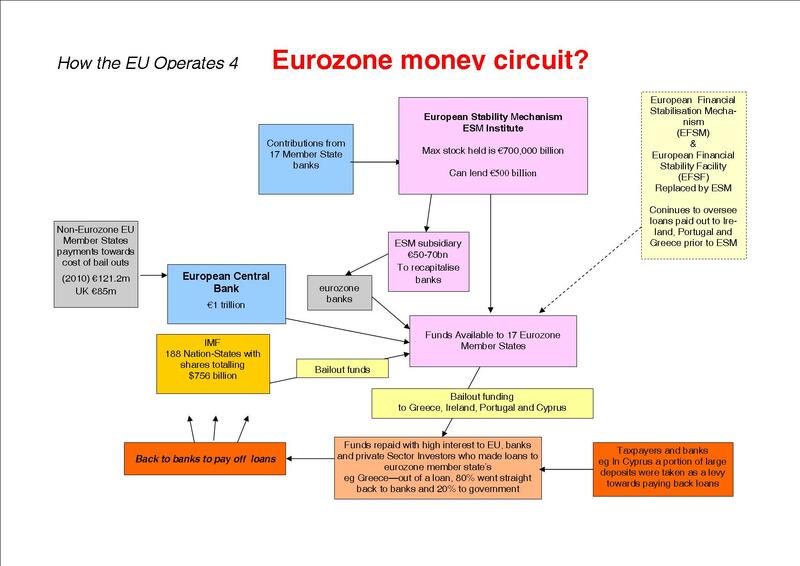 Speaking before the Foreign Affairs Committee of the European Parliament, Verheugen said the Decrees will not develop "new" legal effects but if they do "they will have to be repealed". Most MEPs called for them to be repealed. The Commissioner said "this wound" would be healed before enlargement while ensuring "not to fuel the electoral campaign in the Czech Republic" in the run up to the 14/15 June General Election. Also in April the Czech parliament reiterated that Germans and Hungarians nazi collaborators removed from the country had no chance of regaining property or citizenship. German revenchism has reared its head again this May when right wing opposition candidate Edmund Stoiber addressed 80,000 Sudatenland Germans in Bavaria to demand the abolition of the legal basis of the Czech Republic. 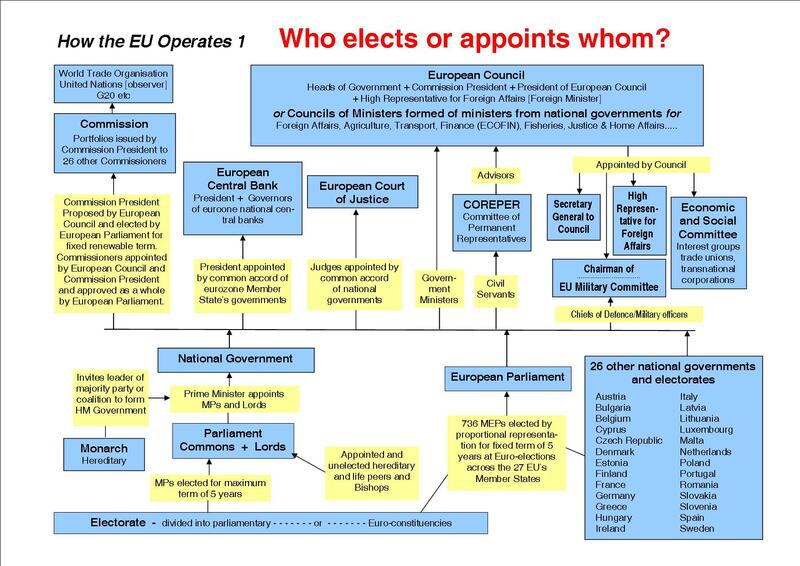 Mr Soiber told the right wing group that the Benes Decrees, drawn up by the liberated Czech state after the end of the World War, breached European Union membership criteria. Right wing Austrian and German parties, including Mr Stoibers conservative Christian Social Union, claim that the expulsions were carried out under the so-called Benes Decrees which formed the legal basis of the Czech Republic. "Why are Czech politicians unable to recognise their own guilt, to name it and to distance themselves from it?" the Bavarian premier asked the packed annual right wing meeting. However, Mr Stoiber, whose wife was herself expelled, said he would work to see the Benes Decrees overturned if he became Chancellor of Germany. Over the weekend of 18 May the German Interior Minister Otto Schily stoked the revenchist flames further by calling outright for the abolition of the Decrees. During the following week, Czech Premier Zeman took part in high level meetings with Commission President Romano Prodi, Commissioner Verheugen, High Representative for CFSP Javier Solana and Nato General Secretary Lord Robertson. After this meeting Prodi said in what amounts to a threat: "The European Union has been successful because we have not looked backwards, because it was founded on a sense of pardon." The Czech Republic is now a member of Nato and over the past year has virtually been ordered by Lord Robertson to purchase large quantities of new military equipment. German transnational corporations now own much of Czech industry and the media. On 23 May the Commission made another appeal for calm to protagonists over the Benes Decrees to avoid endangering the process for Czech entry to the EU. Shameful demands for the effective return of Sudatenland to Hitler's fifth column is a further example of how the power politics of the EU represents the rule of the strong big states over the weak and small states and their peoples. It so happens the four big states were the same in 1938 as those which dominate the EU today - Germany, Britain, France and Italy!